The Best Burger = high quality ground beef cooked until moist pink just start to disappear served between a toasted flour bun preferably with a slice of melted cheese on the meat. 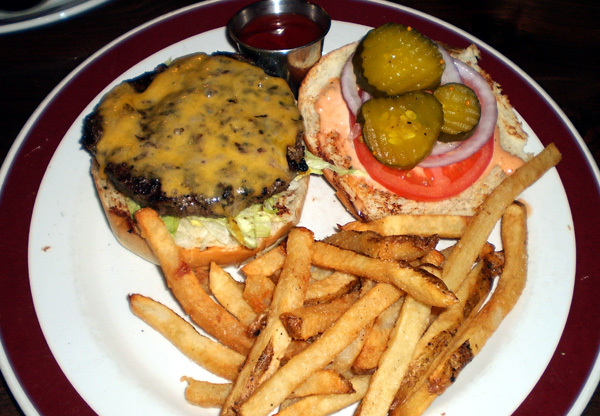 Other frills including extravagant toppings, sauces or different type of buns may add flavor to an already good burger but can’t improve a mediocre one. My quest to find the best hamburger in the Washington DC took me to these five places. I was really excited on opening of a new The Burger Joint few minutes away from my work in Dupont circle. My cousin (who drove in from Richmond, VA) and two of his friends made plans to eat at this well reviewed joint. On our arrival, we noticed that their fancy psychedelic disco lights were still turned on but the joint was closed for a training. After debating other dining options, such as sushi, we used our smartphones to track down another location in old town Alexandria. My cousin really wanted to eat lamb burgers and I really wanted to eat whatever was their most popular burger. I got 7 oz “The Wellington” burger. 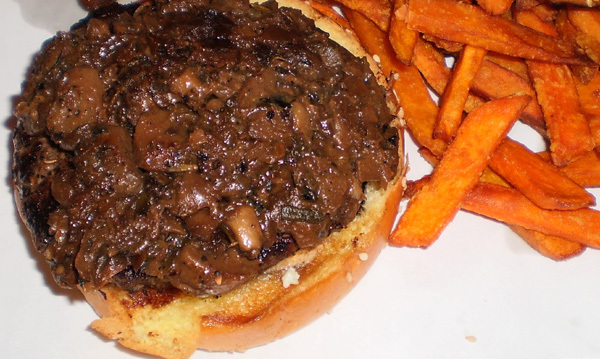 The flavor of mushrooms and caramelized onions with sauce served on highly enriched French Brioche bread was good. However, even after conversation with the cook about getting a medium rare burger, I got slightly rubbery well cooked one. At the same time, a friend who ordered an entirely different 10 oz burger well done got burger with bleeding red in the middle. I could not get past the fact that the burger cost me 30-50% more than a burger at any other sit down restaurant such as J.Paul’s and Sequoia. Compared to any other fast food chain, burgers at Five Guys are good. Although you can’t request the doneness of your burger, the flavor of fresh meat comes through in medium well cooked burger. There are larger numbers of free toppings and sauces. Five Guys’ fresh potato fries are delightful as well. Be careful though, a regular burger and fries would be a too big lunch for a normal day, unless you are sharing the fries. Some of their locations give away free roasted peanuts in the shell while you wait. Few locations, such as the one in the Georgetown, also serve decent selection of beers. Diner burgers are hit or miss. I despise when a diner serves a generic frozen quarter pound beef cooked well with bread from chain grocery store. 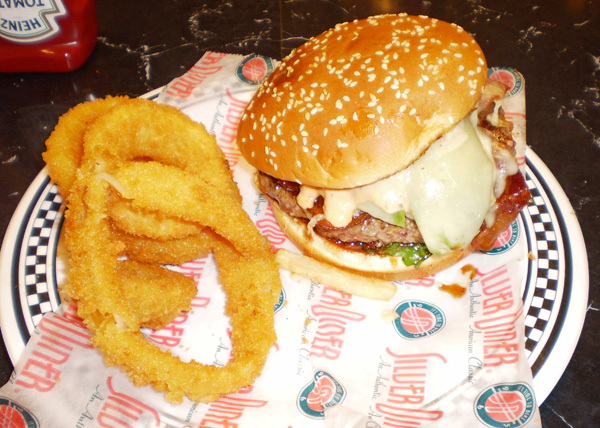 Silver Diner is a small chain based on DC area and it serves 8 oz burger usually cooked medium or medium well. Their burgers are comparable to any of the regular sit down restaurant’s burger. Founding Farmers claims to serve ground to order beef. After about 30 minute wait in rainy weekday, two of us were seated in large cafeteria type table for dozen people. It was slightly awkward after they started to bring more people to our table. I ordered their The Fresh-Ground Cheeseburger. Maybe my expectations were high, but their burger tasted exactly like a regular burger at any mediocre restaurant. On the menu, I didn’t find any mention of quality of beef such as “grass-fed beef” or “organic”. Instead it just stated how the meat was processed; “ground-to-order”. 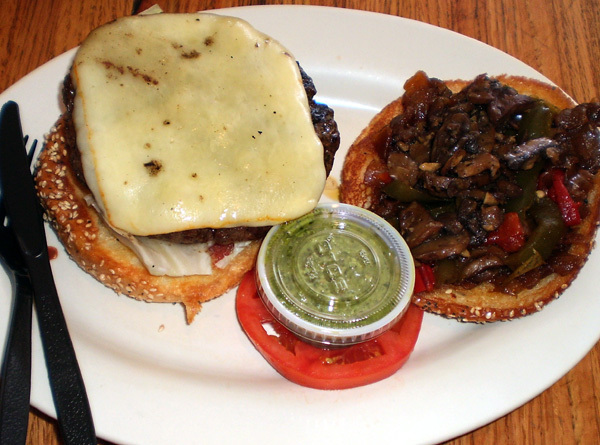 Ray’s hell burgers epitomize simplicity of the hamburgers. Their 10 oz burgers are made from good quality ground beef (at least tastes like it) cooked exactly as requested served a toasted flour bun. Out of many burger places I have been to DC and elsewhere, Ray’s is the best burger I have ever tasted. Ray’s many free options for toppings and some fancy ones such as Foie Gras with truffle oil for 10 bucks. This time, I got fontina cheese burger cooked with recommended warm center (medium rare) with free toppings; cognac and sherry sautéed mushrooms, sautéed peppers, and hot green piranha sauce on side — all under 10 bucks. On the side note, they accept cash only. 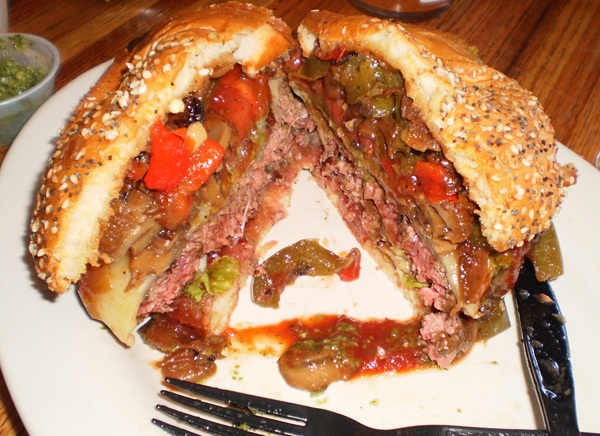 If you eat beef, my suggestion is to go to Ray’s Hell Burger to start appreciating this simple American food, hamburger. Have you tried BGR in alexandria? Their Greek (lamb) burger beat Bobby Flay in Throwdown. Thanks for the interesting info about Bobby Flay. My cousin ordered their Greek lamb burger and I had a bit. The lamb flavor was a bit strong for me. It borderlined mutton, which is older animal. 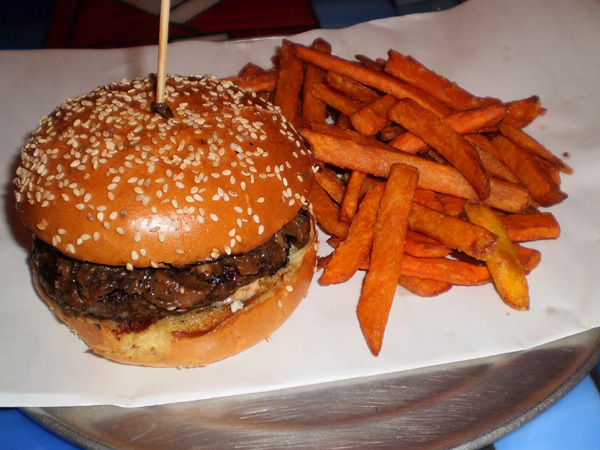 You really should try Z Burger – two locations on Wisconsin – and Good Stuff Eatery in Capitol Hill. They are the only places in DC that are in the same class as Ray’s Hell.